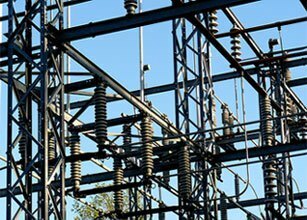 Siemens AG signed a contract worth US$136mn to build a 400KV electrical grid station in Abu Dhabi. 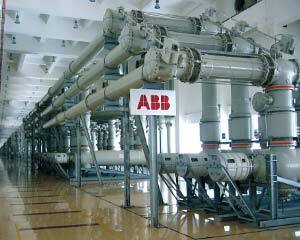 ABB won a second order from Saudi Arabia's Najran University in a deal worth US$40mn. 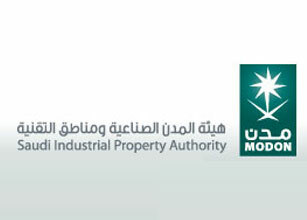 Saudi Industrial Property Authority (Modon) announced that it has signed two contracts worth US$350mn with the Saudi Electricity Company (SEC) for the delivery of electricity to the 3rd Industrial City in Jeddah and the 3rd Industrial City in Dammam. 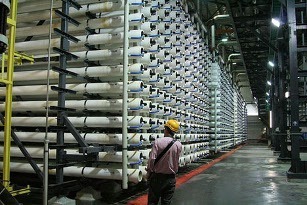 Spanish company Cadagua, subsidiary of Ferrovial Agroman, has been awarded a contract estimated at US$55mn (Dh201.85 million) to construct a seawater desalination plant in Ajman by the Federal Electricity and Water Authority (Fewa). 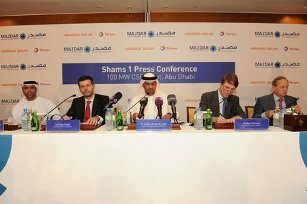 Masdar succeeded in getting US$615mn in financing from banks for the world's biggest concentrated solar power plant (CSP).